19 November 2018 (Toronto, ON) - Following the critical and commercial success of their Grammy® nominated 2015 album, Born In The Echoes, the band’s 6th consecutive UK number 1, The Chemical Brothers today announce their ninth studio album, No Geography. No Geography is set for a Spring 2019 release via Virgin/EMI/Universal Music Canada, the country’s leading music company, and includes the latest single “Free Yourself”, a favourite of the band’s spectacular new live show experienced at festivals across Europe this summer and dubbed “a euphoric, multi-faceted odyssey of blistering synths and deep grooves” by Rolling Stone. “Free Yourself” is accompanied by a groundbreaking video directed by long time creative collaborators, Dom&Nic. Watch the video HERE. Additional details for No Geography including artwork, track list and album pre-order are forthcoming. In 2015, the legendary duo – comprised of Tom Rowlands and Ed Simons – released their GRAMMY® nominated album, Born In The Echoes, which featured collaborations with such artists as Q-Tip, St. Vincent and Beck, videos from the Oscar-winning director Michel Gondry (Eternal Sunshine of the Spotless Mind, The Science of Sleep, The Green Hornet) and award winning director duo Dom&Nic (Oasis, David Bowie & Trent Reznor, Supergrass), plus experimentation in virtual reality with Chris Milk. Pitchfork praised Born In The Echoes as “some of the best pure pop songs Rowlands and Simons have ever made” while NME declared it “a bold reinvention of the Chemical Brothers’ sound”. 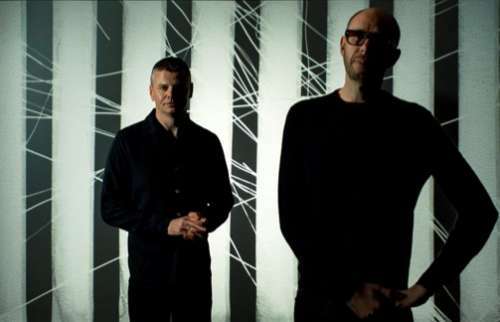 The Chemical Brothers have sold more than 12 million albums and six million singles worldwide. They have had six No. 1 albums in the U.K. and were the first electronic act ever to receive a GRAMMY winning in the Best Rock Instrumental Performance category for “Block Rockin’ Beats” – the first of their four GRAMMY wins.